Either partner can engage in an “Exit Affair.” Like the Conflict Avoidant Couple Affair, the Involved Partner, in many cases, has an unconscious wish to be found out. In both the Conflict Avoidant and Exit Affair there is often an unconscious desire for the affair to be discovered, but for diametrically opposite reasons. I’m thinking about the lyrics to an old Englebert Humperdinck song “Please Release Me.” When it was first released in 1967, it struck a chord, shutting out the Beatles Strawberry Fields Forever from the number one position by selling 85,000 copies a day! “Please Release Me” is the anthem of the Exit affair. The Exit Affair is a sort of emotional camouflage. They typically occur just before separation and are the burning Potemkin Village of marital collapse. They are a convenient explanation for the failure of the marriage, but the truth is, the real marital collapse took place before the affair. The Involved Partner seeks to alleviate their guilt by cajoling the Hurt partner into “releasing them,” to “love again” and offers the affair as the best evidence for supporting that decision. The essential characteristic of Exit Affairs is the profound emotional disconnect emanating from the Involved Partner. While the IP is typically uncomfortable with the Hurt Partner’s pain, the Hurt partner’s rage can be a confirming solace to the IP. It lets them off the hook. A Hurt Partner’s anger allows the Involved Partner to defer any reflection about their contribution and confirms the hopelessness of reconciliation, clearing the way for them to exit. The role of the affair partner in the Exit Affair is fundamentally different from the Conflict Avoidant Affair. 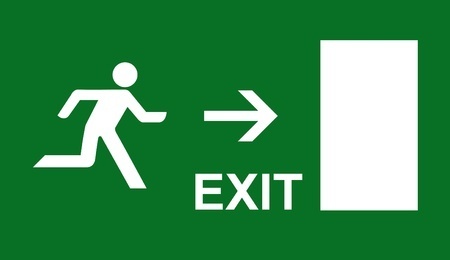 The Exit Affair is all Sturm und Drang. It is as dramatic and emotional as the Conflict Avoidant affair is perfunctory and superficial. The affair partner (more often these days a co-worker), is a comforting, and idealized attachment figure. “Joe really heard me, he comforted me, I’m sorry you got hurt, but he really gets me.” The IP is “sorry” for the Hurt Partner’s pain…but they tend to hold their partner’s pain at a comfortable distance. The affair partner becomes a lightening rod of high emotion for both partners. They are both the hero who rescues and the villain who steals. We find that affair partners can be either unmarried or married, perhaps even working through an Exit Affair of their own. It’s not unusual for therapists to see “bookend” Exit Affairs, where both parties are exiting their current marriages. 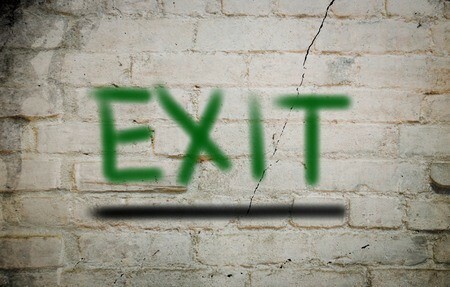 Research tells us that Exit Affairs are fundamentally unstable. In less than 5 years time, Englebert might find his new love’s lips just as cold. Intense Exit Affairs may lead to a hasty marriage with an affair partner. The failure of these marriages can be an incredible wealth drain on these restless men. Despite this fact, Exit Affairs are such a repository of high emotion that an IP sometimes commits to, and weds their affair partner. Divorces often follow these impetuous unions, usually within five years. Research tells us that when men are Involved Partners in Exit Affairs… affair partner divorce follows about 75% of the time! It is possible for exit Affair marriages to work, however, but they are the minority of these cases. I have seen a number of couples in couples therapy in which they were originally Exit Affair partners with each other during their previous marriages to different partners. The anger, frustration, and disappointment in these marriages are often in a class by themselves. One of my concerns at intake in an Exit Affair is what I call client-driven “theatrical productions.” Some clients don’t mind spending the cash to fret and flail ambivalently during their intensive. They want to sell the therapist on their “painful dilemma.” But in reality, all along, they are hoping to fabricate an anecdote, typically for children and other family members. This is a tale of how hard they tried to make “a good faith last ditch effort” with their Hurt Partner. Couples therapy for some of these Involved Partners is about appearances, not authentic repair. We believe that Exit Affairs are often best explored in Discernment Counseling, which might be a prelude to “Last Shot” Couples Therapy. One thing we don’t want is a confused and possibly disingenuous client seeking to “park” their spouse in couples therapy while they drive off into the sunset with their affair partner. Frankly, the divorce rate for untreated Exit Affairs is high, much higher than Conflict Avoidant Affairs. The value of our Big Big Book assessment questionnaire is that it helps us to clarify client motives, particularly for the Involved Partner. 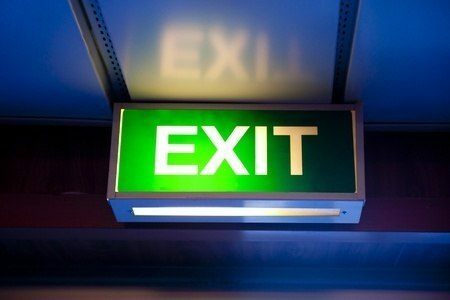 It is possible for clients to “snap out” of Exit Affairs. It requires the Involved Partner to reflect on how the Exit Affair is often little more than a convenient vehicle for ending their marriage, and question whether the affair is deserving of such a heavy emotional and financial commitment.